Today I noticed that Google is testing some results in my browser. Two main things I noticed is that there is a little drop down available on all results with some more options. The options are “cached”, “similar”, and “share.” I don’t see “similar” on all results, just on a few first place rankings. More importantly, I noticed that in this test the instant preview option is not available for organic results, only for PPC results. I’m sure Google likes the idea because instant previews cover up right-side PPC ads. I don’t like that the option is still available to PPC advertisers. It’s just one more thing to make the free organic listings less impactful. The small drop down next to the URL offers some options, but more importantly the instant preview option is gone. 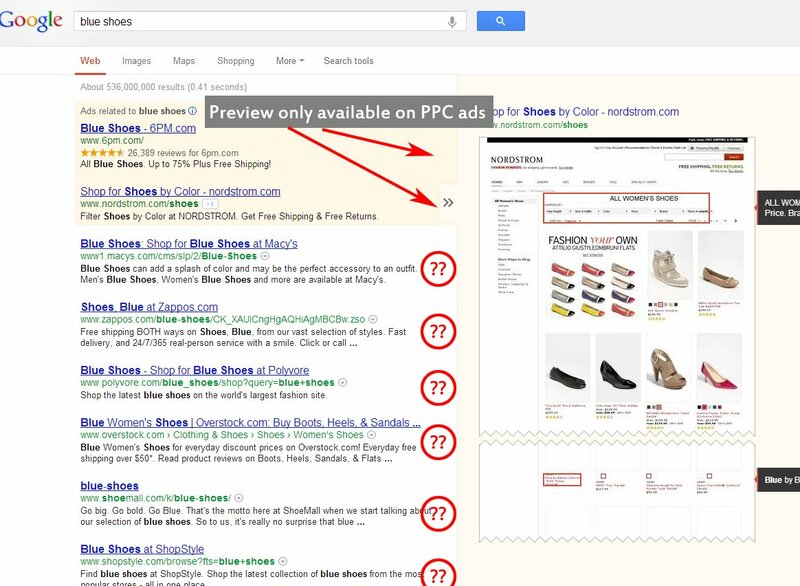 The Instant Preview option remains for PPC advertisers. Hi Mike, I noticed that as well. Was it in Chrome or different browser? I think it was a part of redesigning Chrome interface. The little arrows are back now. For a time it seemed like it was just in Chrome. 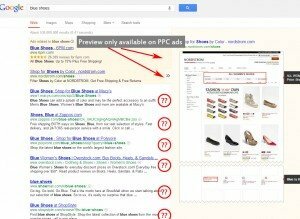 As of today the preview is completely gone from both organic and PPC results in all browsers.